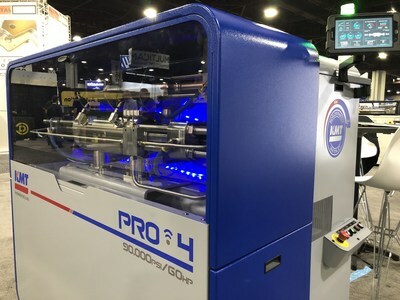 BAXTER SPRINGS, Kan., Nov. 7, 2018 /PRNewswire/ — KMT Waterjet Systems, the leading global manufacturer of Ultra High Pressure pumps and aftermarket parts for waterjet systems, is showcasing a variety of waterjet cutting products at Fabtech Expo 2018, booth B-5951 at the World Congress Center in Atlanta GA.
On display is the prototype of the next evolution in the Streamline PRO series, the KMT PRO 4 – 90,000psi/6.200bar waterjet pump. New features include a user friendly IoT interface, the noise-reducing housing design, floor space savings, and maintenance friendly access to the intensifier top-works. 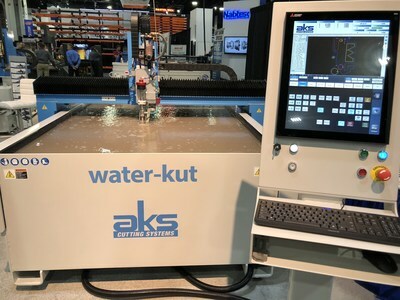 Also on display are live waterjet systems cutting demonstrations in the AKS booth (B-6007), Koike booth (C-12668), both powered by KMT at 90,000psi, and MultiCam (B-6229), cutting at 55,000psi with the KMT TRILine pump. 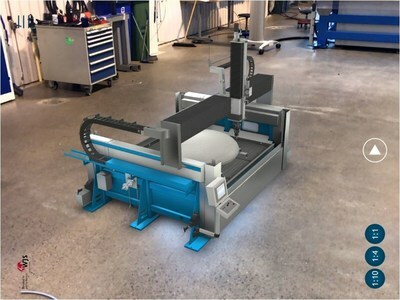 KMT is also pleased to welcome Water Jet Sweden (B-9844), which has a unique virtual reality 5-axis waterjet cutting demonstration on display. 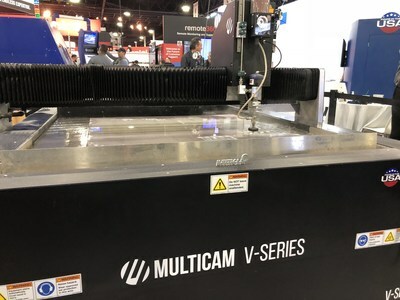 With increased pressure to 90,000psi, the accelerated velocity stream lowers the abrasive usage up to 50% by cutting significantly faster to increase manufacturing capacity and lower cost per part over 60,000psi waterjet cutting tables. For more information on the KMT Streamline PRO, 90,000psi Series, as well as the entire KMT waterjet pumps offerings, or any of KMT products including complete cutting heads, abrasive garnet, and waterjet parts, visit www.kmtwaterjet.com or call 800-826-9274. 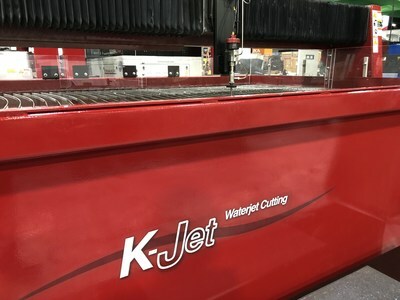 KMT Waterjet Systems is the leading global manufacturer of water jet cutting systems, Ultra High Pressure pumps and components for water jet systems. KMT’s product offerings include: UHP Pumps, Waterjet cutting nozzles, Focusing Tubes, Pneumatic Cutting Valves, Intensifier and High pressure parts, Abrasive Cutting Systems, replaceable aftermarket water jet spares for all of KMT parts and components with Waterjet Spare Parts, High pressure Valves, Fittings and Tubing Products, Diamond Orifices, Sapphire Orifices, Ruby Orifices, and Robotic applications.